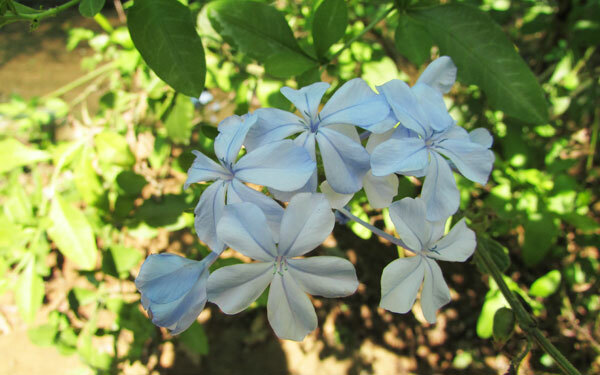 Plumbago zeylanica White leadwort or Chitrak is a shrub that spreads with stems, grow up to 2.5 m long. 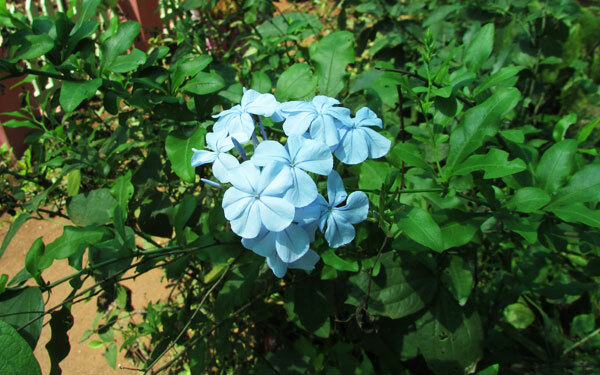 The leaves are dark green, ovate; grow up to 12 cm long and 5 cm broad. 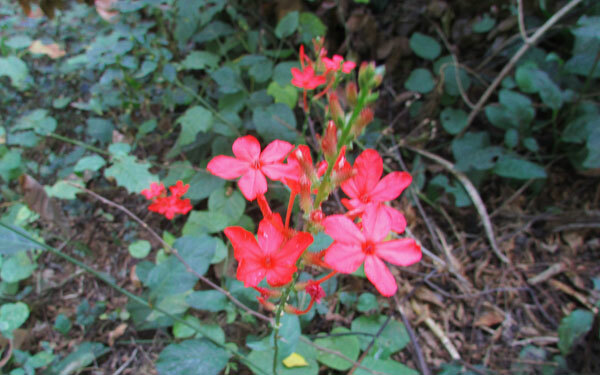 The flowers are borne in a stalk, sized 6 to 25 cm long and hairs with a sticky coating. Many small dark purple coloured seeds contain in a capsules 4 to 5 mm long.